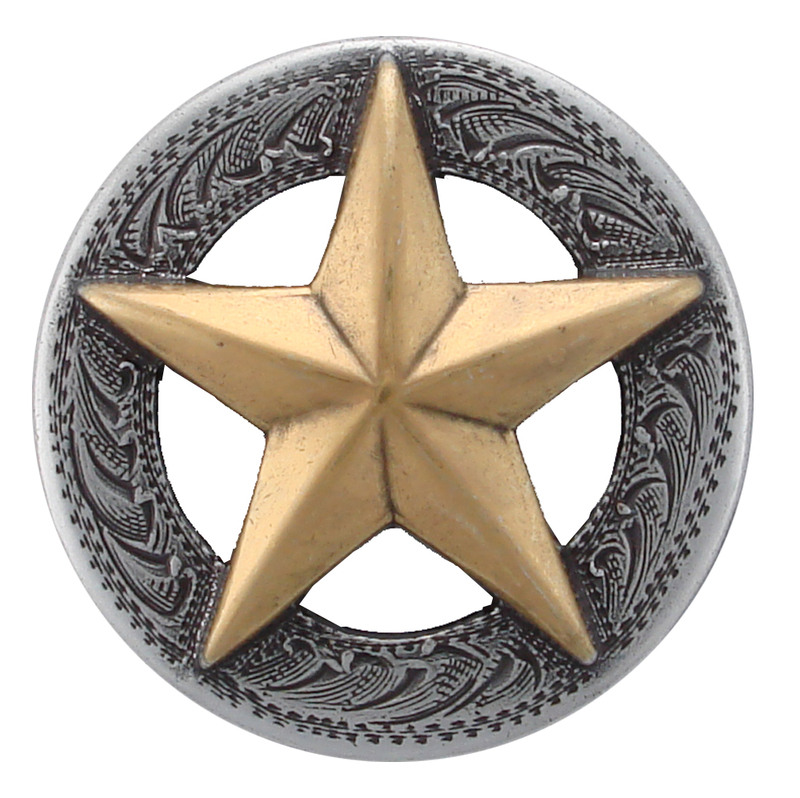 ANTIQUE SILVER FINISH WITH GOLD STAR RAISED STAR ENGRAVED 1 1/2" Screwback. Western Hand Engraved Masters used to cast this Hand Polished Antique Silver with Gold Finish Star Concho. Chicago Screw Back. No sales tax unless shipped to California.